Though you may sometimes hear about reverse mortgages having a bad reputation, the truth is that they make an excellent source of cash for seniors that are looking for extra funds or to supplement their income. There are different types of reverse mortgage loans available through various organizations that serve different purposes. Reverse mortgages are no longer best used as a last resort so research and careful consideration will help you determine which one is right for you. 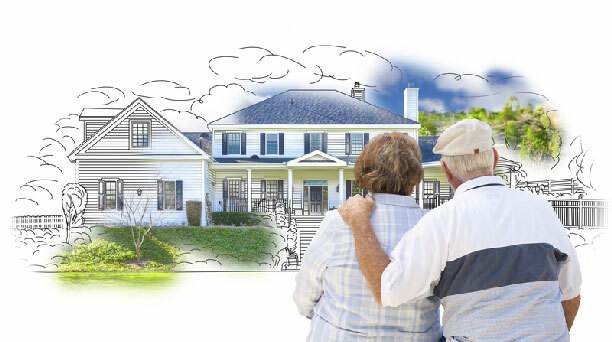 A single-purpose reverse mortgage is offered by local, state and non-profit organizations. It is the least expensive one out of the three but as the name states, it can only be used for a single purpose. The one specified purpose can be repairing a home or even paying your property taxes but it needs to be approved prior to getting your loan. Only a small amount of your equity is used, thus making this type of loan lower in cost but low costs equal to a higher number of limitations on how you can use your cash. This type of a reverse mortgage is only available to senior homeowners with high-valued properties hoping to access a greater amount of their equity. Federal borrowing limit ( based on a home’s value up to $ 636,150 ) can feel restrictive but with a proprietary mortgage that is not an issue because there is no limit. These loans are available through private lending companies and are not insured by the FHA therefore not require insurance premiums. A proprietary loan is best used when the borrower requires a large cash advance. There are no payments options or credit lines only a lump sum cash payout. A HECM reverse mortgage is backed by the US Department of Housing and Urban Development. It is a federally insured and does have some fees associated with it but it is the most popular loan. A HECM reverse mortgage can be used for any reason and has no limitations on how a borrower wants to use the cash. Once the loan is established you can choose your payment option as cash, advance or even a credit line. To learn more about this popular loan please read our blog to answer all of your important reverse mortgage questions. If you or your aging family member feel like you can benefit from a reverse mortgage please contact the experts at Z Reverse Mortage 1-844-694-6630.